This revolutionary lifestyle concept is specifically designed to offer the mature homeowner an unparalleled retirement experience. Composed of 244 stands at an average of 800m² with a variety of house design options, Waterfall Valley aims to provide its residents with a full and varied lifestyle without any of the maintenance, insurance and security concerns that traditionally accompany private home ownership. 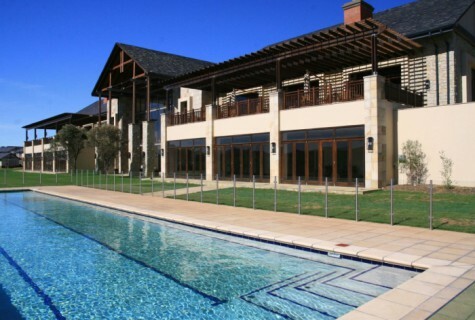 Situated between Kyalami and Sandton adjacent to the prestigious Waterfall Equestrian Estate, Waterfall Valley offers an opportunity to experience a mature lifestyle unparalleled in South Africa. Comfort, enjoyment, care and security are of paramount importance to us. Designed for the retirees who enjoy an active and socially varied lifestyle with an emphasis on healthy living but who wish to simplify their lives by removing the issues of the maintenance, insurance and security normally associated with private home ownership. Waterfall Valley is the second phase of the popular Waterfall Hills, which was awarded the “Best International Retirement Development” during the annual CNBC International Property Awards as well as the Globals over 50’s Housing “Best Retirement Resort in the World” for 2011. This lifestyle estate offers 244 large stands where homeowners may choose from a variety of designs for their luxury freestanding houses. These spacious layouts range from one to three bedrooms. Specifically tailored to the vibrant mature market – this estate shares a vast range of existing facilities with phase 1, Waterfall Hills. Both Waterfall Hills (phase 1) and Waterfall Valley (phase 2) will boast equally impressive clubhouses with reciprocity of facilities. Effective security does not have to be invasive. This lifestyle community is conceptualized to be one of the most secure estates in the country. The four meter high perimeter wall, reinforced with concrete and topped with electric fence and motion sensing thermal CCTV cameras will ensure detection of potential intrusion before it happens. The gatehouse will be manned 24 hrs a day by highly trained, courteous security personnel. Fixed panic buttons will be located in all units and will be linked to the central security room. Rapid access to specialized medical services is ensured by the development’s close proximity to Sunninghill hospital as well as the new Netcare Waterfall hospital on Maxwell Drive. Waterfall Valley will also have dedicated doctors whom will be on call. The permanent onsite nursing staff may provide assisted living services to residents from within their homes, or refer residents to the fully equipped frail care facility – which is located at Waterfall Hills. The freestanding homes on the estate offer residents independence and privacy with the added advantage of a lock-up and go lifestyle, where issues of insurance, maintenance, security and garden are all taken care of. This is a community where a stylish, active, healthy lifestyle is the norm. 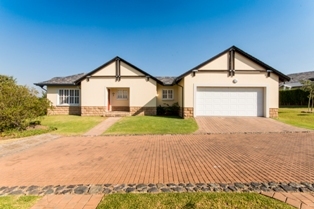 string(40) "Waterfall Valley Mature Lifestyle Estate"
string(3240) "  This revolutionary lifestyle concept is specifically designed to offer the mature homeowner an unparalleled retirement experience. Composed of 244 stands at an average of 800m² with a variety of house design options, Waterfall Valley aims to provide its residents with a full and varied lifestyle without any of the maintenance, insurance and security concerns that traditionally accompany private home ownership. 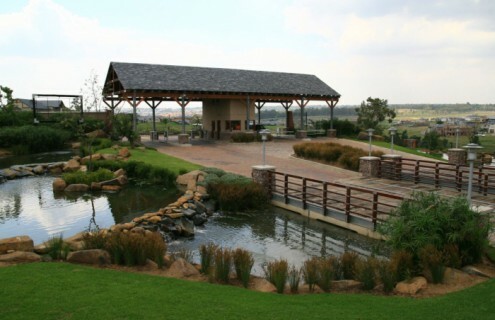 Situated between Kyalami and Sandton adjacent to the prestigious Waterfall Equestrian Estate, Waterfall Valley offers an opportunity to experience a mature lifestyle unparalleled in South Africa. Comfort, enjoyment, care and security are of paramount importance to us. Designed for the retirees who enjoy an active and socially varied lifestyle with an emphasis on healthy living but who wish to simplify their lives by removing the issues of the maintenance, insurance and security normally associated with private home ownership. Waterfall Valley is the second phase of the popular Waterfall Hills, which was awarded the “Best International Retirement Development” during the annual CNBC International Property Awards as well as the Globals over 50’s Housing “Best Retirement Resort in the World” for 2011. This lifestyle estate offers 244 large stands where homeowners may choose from a variety of designs for their luxury freestanding houses. These spacious layouts range from one to three bedrooms. Specifically tailored to the vibrant mature market - this estate shares a vast range of existing facilities with phase 1, Waterfall Hills. Both Waterfall Hills (phase 1) and Waterfall Valley (phase 2) will boast equally impressive clubhouses with reciprocity of facilities. Effective security does not have to be invasive. This lifestyle community is conceptualized to be one of the most secure estates in the country. The four meter high perimeter wall, reinforced with concrete and topped with electric fence and motion sensing thermal CCTV cameras will ensure detection of potential intrusion before it happens. The gatehouse will be manned 24 hrs a day by highly trained, courteous security personnel. Fixed panic buttons will be located in all units and will be linked to the central security room. 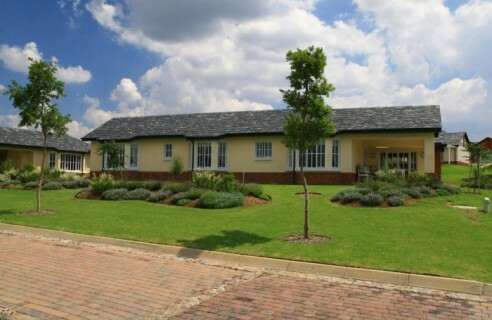 Rapid access to specialized medical services is ensured by the development's close proximity to Sunninghill hospital as well as the new Netcare Waterfall hospital on Maxwell Drive. Waterfall Valley will also have dedicated doctors whom will be on call. The permanent onsite nursing staff may provide assisted living services to residents from within their homes, or refer residents to the fully equipped frail care facility - which is located at Waterfall Hills. The freestanding homes on the estate offer residents independence and privacy with the added advantage of a lock-up and go lifestyle, where issues of insurance, maintenance, security and garden are all taken care of. This is a community where a stylish, active, healthy lifestyle is the norm. Furnished showhouses are available to view. Visit our sales office open daily from 09h00 – 17h00 or contact: Vee: 082-937-1680 Carolyn: 083-640-1905 To watch the following videos on Waterfall Valley Mature Lifestyle estate please click below:"
string(3236) "  This revolutionary lifestyle concept is specifically designed to offer the mature homeowner an unparalleled retirement experience. Composed of 244 stands at an average of 800m² with a variety of house design options, Waterfall Valley aims to provide its residents with a full and varied lifestyle without any of the maintenance, insurance and security concerns that traditionally accompany private home ownership. 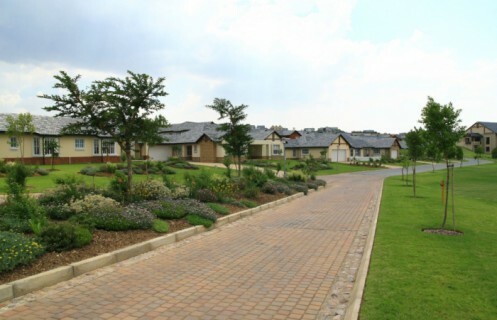 Situated between Kyalami and Sandton adjacent to the prestigious Waterfall Equestrian Estate, Waterfall Valley offers an opportunity to experience a mature lifestyle unparalleled in South Africa. Comfort, enjoyment, care and security are of paramount importance to us. Designed for the retirees who enjoy an active and socially varied lifestyle with an emphasis on healthy living but who wish to simplify their lives by removing the issues of the maintenance, insurance and security normally associated with private home ownership. Waterfall Valley is the second phase of the popular Waterfall Hills, which was awarded the “Best International Retirement Development” during the annual CNBC International Property Awards as well as the Globals over 50’s Housing “Best Retirement Resort in the World” for 2011. This lifestyle estate offers 244 large stands where homeowners may choose from a variety of designs for their luxury freestanding houses. These spacious layouts range from one to three bedrooms. Specifically tailored to the vibrant mature market - this estate shares a vast range of existing facilities with phase 1, Waterfall Hills. Both Waterfall Hills (phase 1) and Waterfall Valley (phase 2) will boast equally impressive clubhouses with reciprocity of facilities. Effective security does not have to be invasive. This lifestyle community is conceptualized to be one of the most secure estates in the country. The four meter high perimeter wall, reinforced with concrete and topped with electric fence and motion sensing thermal CCTV cameras will ensure detection of potential intrusion before it happens. The gatehouse will be manned 24 hrs a day by highly trained, courteous security personnel. Fixed panic buttons will be located in all units and will be linked to the central security room. Rapid access to specialized medical services is ensured by the development's close proximity to Sunninghill hospital as well as the new Netcare Waterfall hospital on Maxwell Drive. Waterfall Valley will also have dedicated doctors whom will be on call. The permanent onsite nursing staff may provide assisted living services to residents from within their homes, or refer residents to the fully equipped frail care facility - which is located at Waterfall Hills. The freestanding homes on the estate offer residents independence and privacy with the added advantage of a lock-up and go lifestyle, where issues of insurance, maintenance, security and garden are all taken care of. This is a community where a stylish, active, healthy lifestyle is the norm. 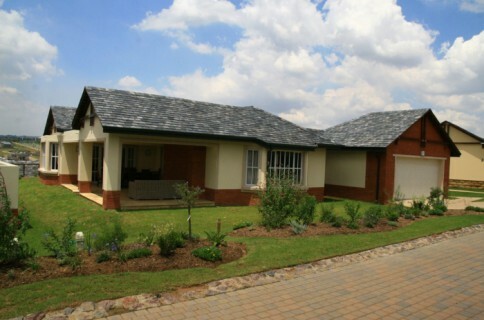 Furnished showhouses are available to view. 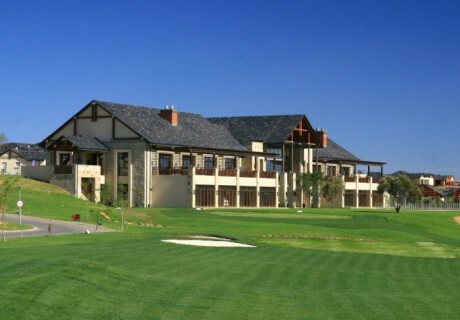 Visit our sales office open daily from 09h00 – 17h00 or contact: Vee: 082-937-1680 Carolyn: 083-640-1905 To watch the following videos on Waterfall Valley Mature Lifestyle estate please click below:"
string(30) "Clubhouse with many facilities"
string(19) "Gym and steam rooms"